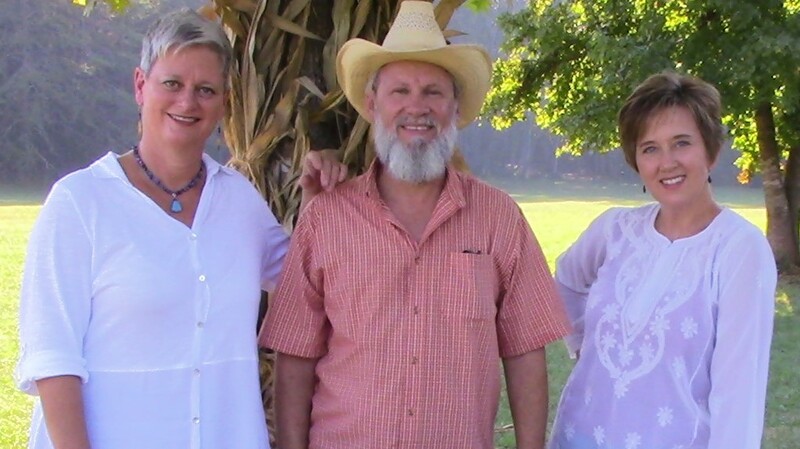 All three members of the group are veteran entertainers who not only deliver their music with passion and sincerity, but also engage every audience as if it were sitting on the living room couch sharing life stories up close and personal. Stylistically, it’s hard to label the self-penned songs of band founders/writers Melissa Wade and Philip Coward, which make up a large part of the Wild Blue Yonder repertoire. Live performances often feature a rollicking ‘grass-flavored affirmation followed by a tender Folky ballad, an alt-country satire, then an inspiring spiritual anthem all in one set. 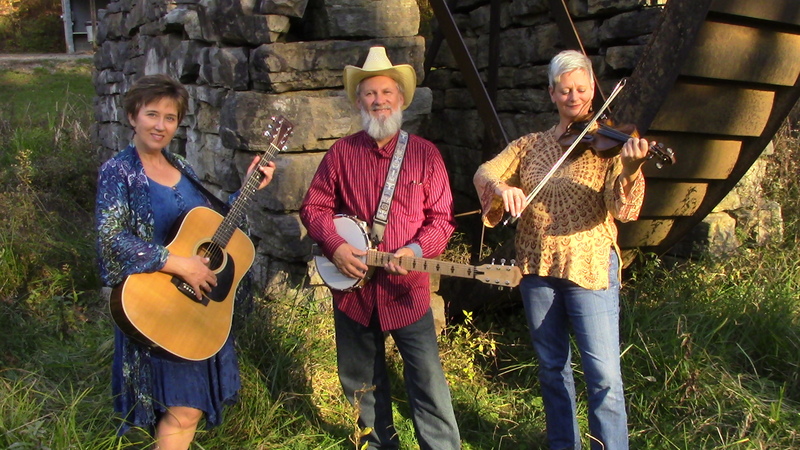 If the group feels like a cover song, listen for an obscure Carter Family gem possibly followed by a high-energy fiddle-infused Celtic number. 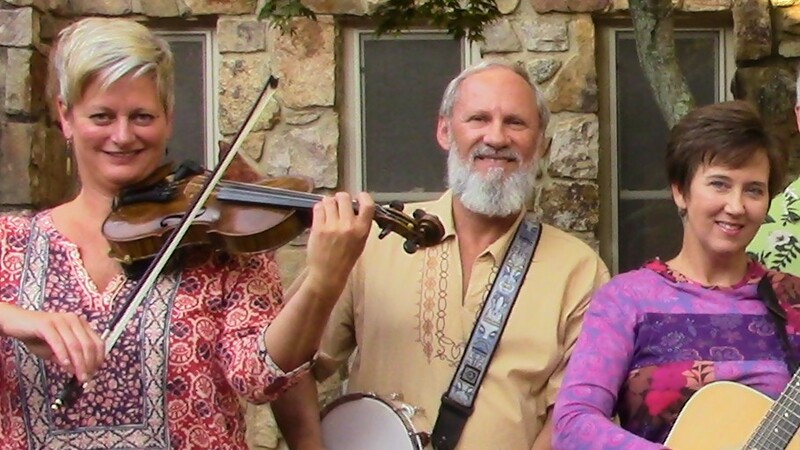 Formed as a five-piece band in 2001, Wild Blue Yonder flourished in the East Tennessee and Western North Carolina regions, producing two well-received contemporary bluegrass CDs and performing more than 50 shows a year for several years. 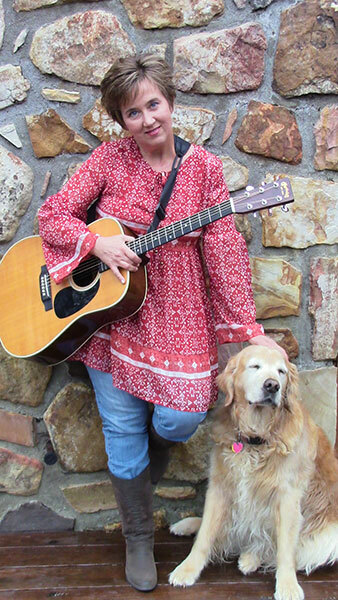 Both discs, “Bolt Out of the Blue” and “Above & Beyond,” received airplay on bluegrass and Folk stations across the U.S., and in the UK, Australia, and the Netherlands. 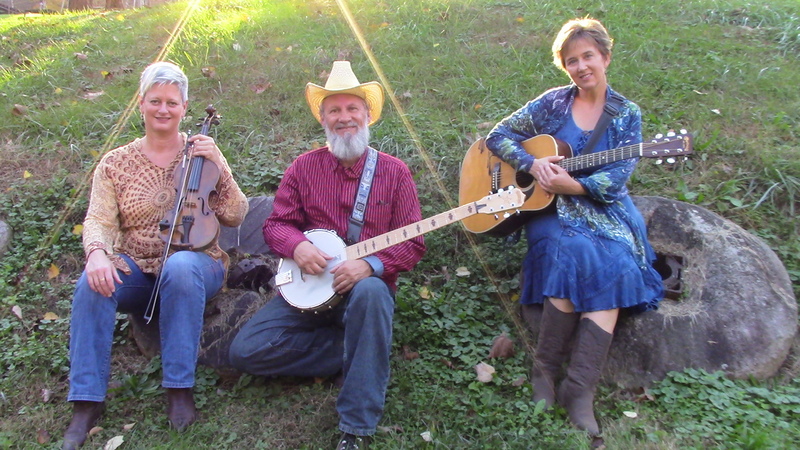 Today Wild Blue Yonder is primarily the trio of Wade on guitar and vocals, Coward on banjo, mandolin and vocals, and Cindy Wallace on fiddle. • Opening for Doc Watson’s 80th Birthday Bash in Bristol, Tennessee. From the core members of Wild Blue Yonder comes this all-original disc of edgy Americana, folk/pop, alt-country. Adopting the alter-ego name "Fated Genes" for this project, it features guitars (even a little Les Paul! 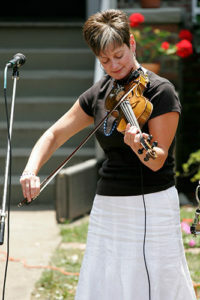 ), fiddles, mandolin, percussion, drums and tight vocals. WBY singer/songwriters Melissa Wade and Philip Coward venture further from the bluegrass fringes of their first two CD's, "Bolt Out Of The Blue" and "Above & Beyond," with this eclectic mix of tunes about love gone right and wrong, living for the here and now, and a Gospel tune for good measure. If you enjoyed the original songs from their first two projects, you will love this more intimate peek into the songwriting minds of Wade and Coward, expressed through energetic musicianship and soulful vocals. "Above and Beyond," Wild Blue Yonder’s second release, is strong on originality while giving a nod to the best of the bluegrass tradition. It contains seven tunes from the pen of band founders Melissa Wade and Philip Coward, three sizzling instrumentals and a few Gospel covers that will send your spirit soaring. Spiced up with a dash of percussion and a sprightly penny whistle, this disc is hard to classify but easy to enjoy. “Above & Beyond” has received airplay on bluegrass and Folk stations across the U.S. and abroad. The second cut on the disc, “Sweet Summer Day,” was a particular favorite of a station in Australia, where it received substantial airplay soon after its release. The song sparks tender family memories for listeners of all ages with its tale of a rainy summer afternoon shared by four generations of women from a child’s eye. 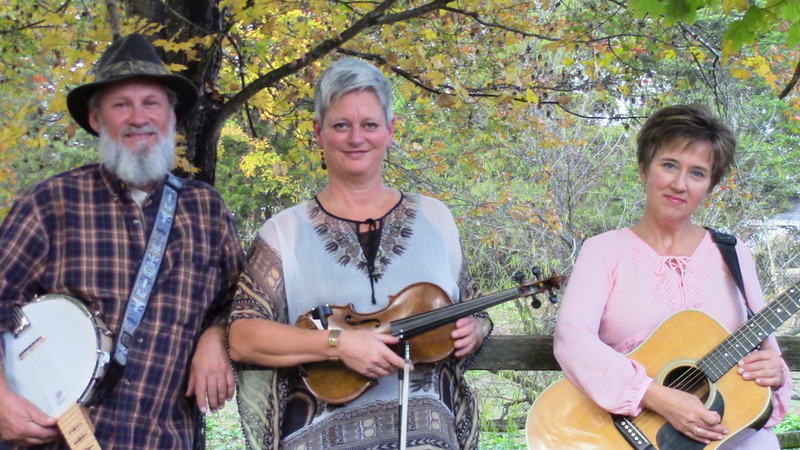 Musically, “Above & Beyond” is Melissa Wade on vocals and acoustic guitar, Philip Coward on vocals, mandolin and guitar, Cindy Wallace and Laura Knight on fiddles, along with banjo and upright bass. If you appreciate intelligent lyrics, mesmerizing melodies, warm harmonies and hot picking, then check out “Above & Beyond.” On this project, Wild Blue Yonder stays true to its roots while climbing to new heights. Wild Blue Yonder’s first release, “Bolt Out Of The Blue,” is a versatile offering of traditional and contemporary bluegrass, showcasing six original songs by band founders/writers Melissa Wade and Philip Coward. Strong three and four-part harmonies surround all but one of the thirteen tracks, the exception being “It’s Only Love.” A statement of emotional strength from a uniquely female point of view, the song features a beautiful string arrangement with haunting vocals and bowed bass. 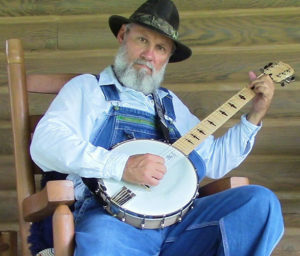 Other cuts, such as “The Cuckoo Bird, “Fly Away” and “Molly and Tenbrooks,” reveal the band’s respect for timeless songs in the bluegrass tradition, while the disc’s title cut tells the story of a traveling musician who falls in love on the road. Check out the live music video of this tune on Wild Blue Yonder’s YouTube channel. In the spirit of serving up something for everyone, “Bolt Out of the Blue” provides a laugh with the delicious road-kill ditty, “The Possum Crawls Tonight.” This backwoods Southern spin on “The Lion Sleeps Tonight” brought Wild Blue Yonder a taste of local fame with significant radio play on WIVK in Knoxville and numerous other stations across the country just after its release. And, yes, all possum dishes are included in the liner notes.